Deryck Pham DDS ’04 always wanted to serve his country. “That’s why I joined the military,” he said. Pham spent three years — including seven months in Iraq at a Level 1 Trauma Center — in the Marines, working as a dentist and triage doctor. 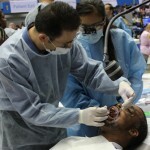 In 2012, Pham started Veterans Smile Day, a day (or days) in which hundreds of dentists across the country offer free dental care to veterans. Timed to coincide with Veterans Day, this year’s event ran from Nov. 6-10. Many service members don’t qualify for full benefits once they return from active duty. 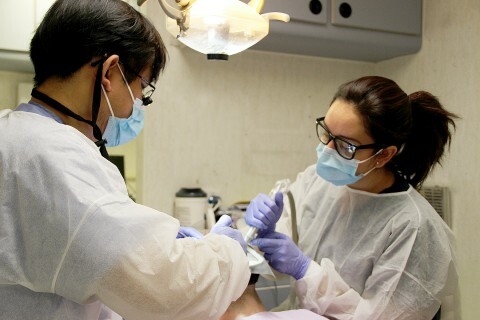 To receive dental care, veterans must meet certain eligibility requirements, including having a service-related dental condition or being considered 100 percent disabled, according to the U.S. Department of Veteran Affairs. 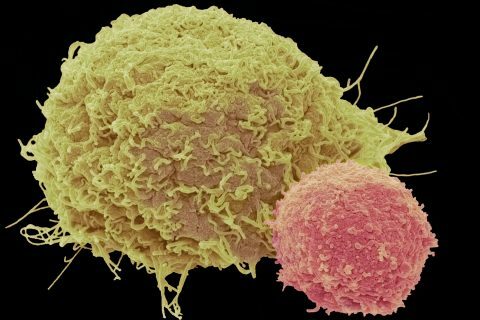 Additionally, long wait times and limited care at Veterans Affairs hospitals make treatment difficult — even for those who qualify. In 2014, Irani and Pham teamed up to raise awareness and take Veterans Smile Day to a national level. 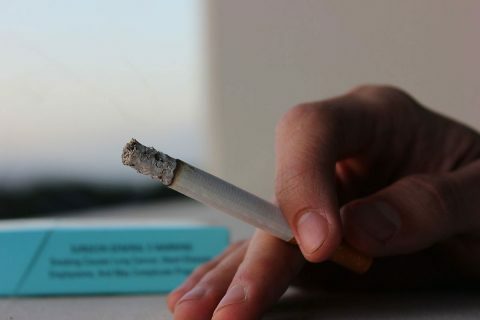 Through her connections with the American Dental Association and other organizations, Irani reached out to a wider network of providers to promote the event. So many people and organizations weren’t aware that veterans don’t get dental benefits. In three years, the program quickly grew from 30 participating providers to more than 600. So far, as many as 5,000 veterans have been treated. Pham said his education at USC helped drive his desire to give back. “Working at the dental clinic at the Union Rescue Mission in downtown L.A. and in the mobile clinic treating kids at underserved areas, USC’s always pushed us in those areas,” he said. During Veterans Smile Day, participating dentists can decide what treatments they’re comfortable providing. 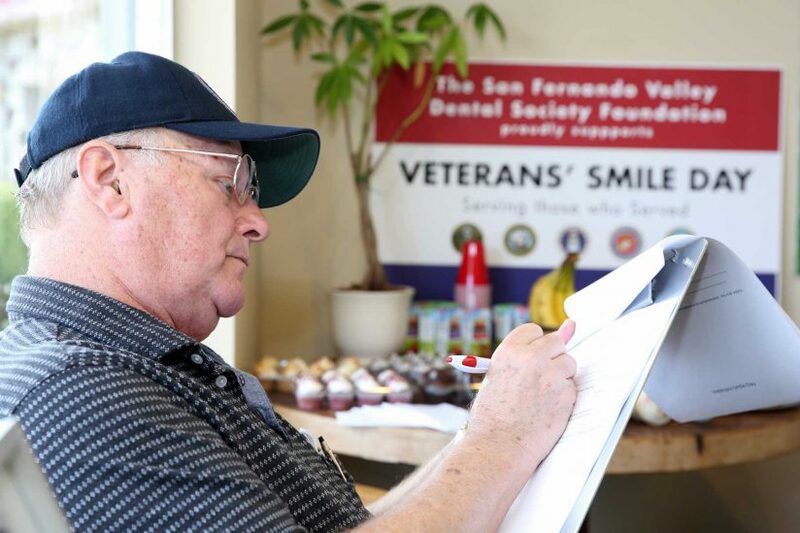 Vietnam vet Alan Mac Farlane has had teeth drilled, filled and cleaned during Veterans Smile Day. The 71-year-old learned about the event through his VFW and has been treated at Pham’s office for the past three years. Offering more than free care, many dentists turn the day into a celebration to honor veterans, complete with food, banners and other special treatments. 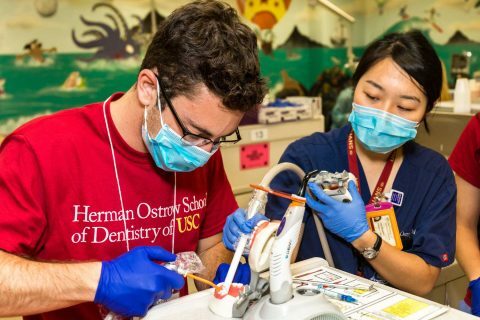 USC’s Dental Explorers program introduces minority students to dentistry and its specialties, including orthodontics and pediatrics. Students, residents and faculty of the Ostrow School of Dentistry of USC took part in the Care Harbor service event last month at the Los Angeles Sports Arena. 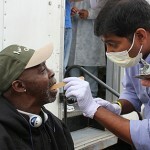 Clinic director Santosh Sundaresan examines Army veteran Edward Scott before scheduling treatment. Hundreds of disadvantaged military veterans received medical help, counseling, employment assistance and other services as part of the eighth annual Compton Stand Down organized by the nonprofit group U.S. Vets on Sept. 24-26. Nearly 200 service members receive much-needed dental treatment at local Stand Down event.